Halloween card Again! 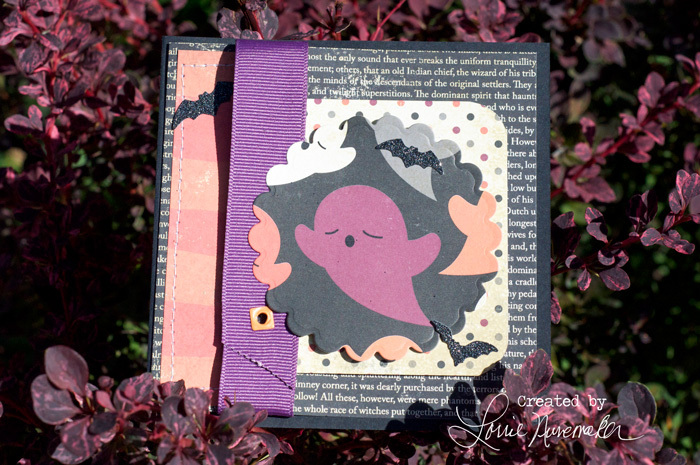 Can you tell I really love making Halloween cards. Not sure why that is, but I always get on a role about this time of year. This card was made using papers from an old stash, hand cut (no Silhouette on this one), and a nestability for the scallop circle.